. The rides will meet up at 1900 from various points within Stockport. The rides will mainly be off-road on easy paths. 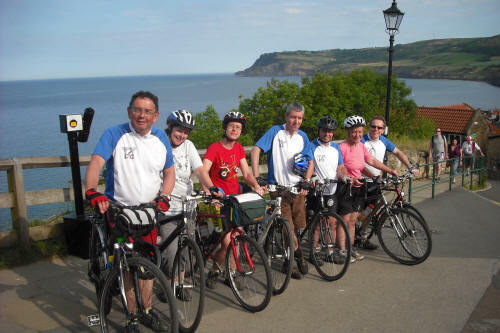 Two rides will be offered each week – an easy ride for true beginners over about 6-8 miles and a longer one for the more experienced at about 10-12 miles. The Monday rides do not include a 6 mile option. You may choose to go on either but we recommend the shorter one to start with. Our 2019 programme runs from the end of April to the end of August. Monday 6th May and Wednesday 8th May – Chadkirk Circular – Meet on the road outside Bredbury Hall at 7pm. A ride along the Alan Newton Way to Chadkirk and return along the canal. Monday 13th May and Wednesday 15th May – Cringle Park – Meet at Houldsworth Mill, Reddish at 7pm. A visit to one of Manchester’s oldest Parks and its “Stone Circle”. Monday 20th May and Wednesday 22nd May – Heaton Mersey Common – Meet at Houldsworth Mill, Reddish at 7pm. A ride across the green oasis in the middle of suburbia. Monday 27th May and Wednesday 29th May – New Mills – Meet at Marple Library at 7pm. A trip to New Mills using the Valley and canal with a ride across the Millenium Walkway and the industrial heritage of the area. 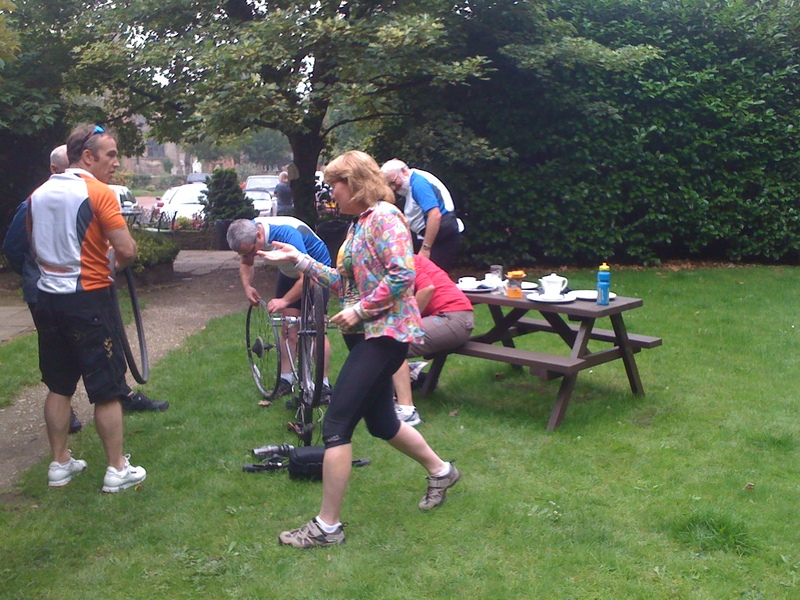 Monday 3rd June and Wednesday 5th June – Poynton Circular – Meet at Poynton Pool, Anglesea Drive, Poynton at 7pm. A tour of the lanes and tracks around Poynton and the Pool. Monday 10th June and Wednesday 12th June – Sale – Meet at Gatley Staton at 7pm. A ride along tracks and back roads to the middle of Sale and return. 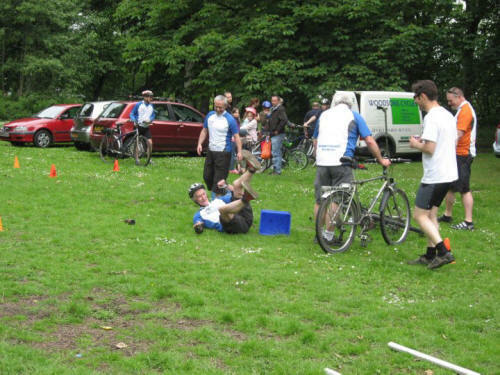 Monday 17th June and Wednesday 19th June – Middlewood Way Meet at Nelson Pit car park, Higher Poynton at 7pm. 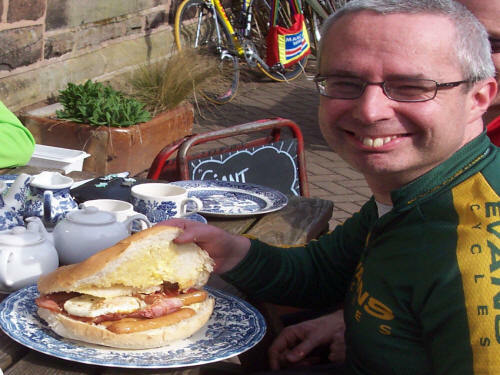 An easy ride along the Middlewood Way to Bollington and the outskirts of Macclesfield. Monday 24th June and Wednesday 26th June – Abney Park – Meet at the bridge behind the Woolpack Inn near the Pyramid at 7pm. A ride along the River Mersey and then through the grounds of this historic house. Monday 1st July and Wednesday 3rd July – Godley – Meet at Brinnington Leisure Centre at 7pm. A little bit of a climb this time as we visit the old railway line and the turntable at Godley. 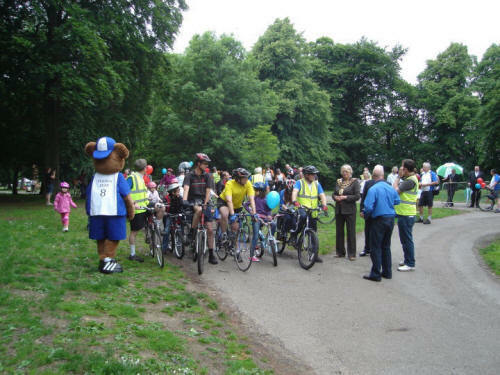 Also , in response to requests we now have a monthly Saturday afternoon ride which will cover about 10/12 miles and will be suitable for families. Usual fee of £1 per adult – children free. Children under 18 must be accompanied by a responsible adult who will be responsible for their safety and riding ability. Children must wear a safety helmet. Any changes and more information on meeting points will be in the Weekly Newsletter.